Cashew vegan cheese gets streamlined for better results. I’ve said it before: I’m not vegan, I’m not into raw food and the Paleo Diet isn’t for me. But I am into flavor, and I’ve been a big vegan cheese kick ever since I discovered how easy it is to make. As with anything you make a lot, the process evolves over time. This version combines elements of The Blender Girl’s version (namely the addition of a little white miso paste) with the delightfully streamlined ingredient list and classic cheese-making techniques of the recipe on She Paused 4 Thought. 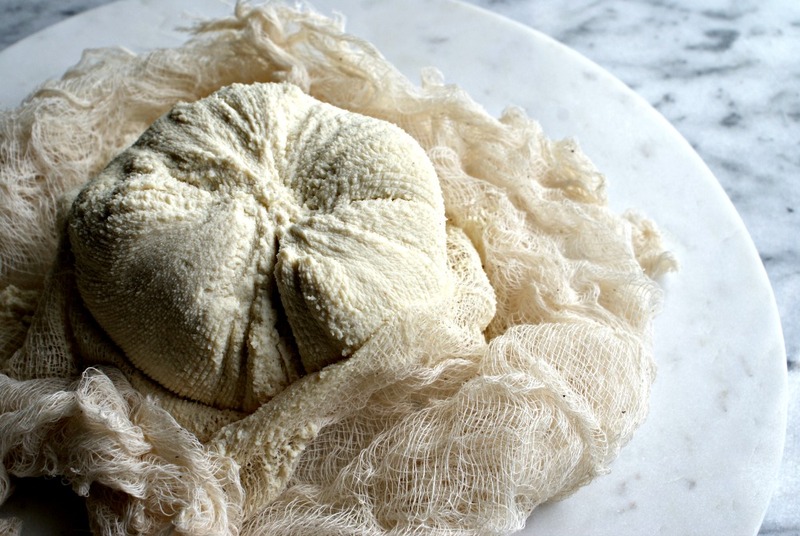 Don’t let the use of cheesecloth put you off — you can find it in any supermarket. It’s step well worth taking. The result is smoothy, creamy “cheese” with lots of umami heft that can be used in any number of ways. It’s great schmeared on a bagel, on sandwiches with pickles, or tucked into a quesadilla. Just last night, I used it to make a creamy, Alfredo-like pasta sauce by simply whisking in a little hot pasta water. Give it a try, and see what you think! Yield: about 1 1/2 cups "cheese"
Soaking the cashews increases their enzymes for better digestibility, or so say raw foodies and Paleo Diet followers. That's open to some debate. I find soaking the nuts a full 24 hours helps them blend smoothly without adding more water. Place the cashews in a large bowl; cover with cold water. Cover the bowl with a plate and refrigerate for 24 hours. Drain cashews, rinsing with cold water. Place garlic clove in a food processor; pulse to mince. Add drained cashews, lemon juice and remaining ingredients. Process until smooth and creamy, about 5 minutes, stopping to scrape down the sides of the food processor. The nuts will have soaked up plenty of water, so they should blend smoothly. But if the mixture isn't as smooth as you'd like, add more cold water a tablespoon at a time. Place a fine-mesh strainer over a bowl. 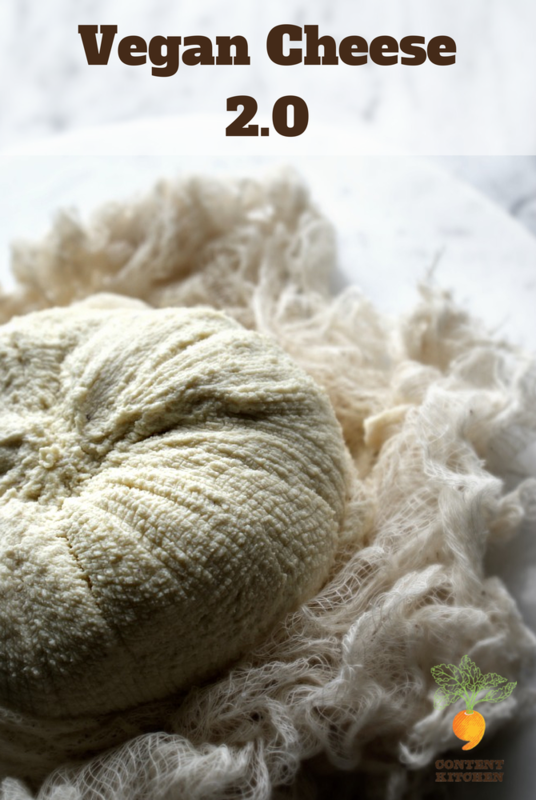 Line the strainer with 3-4 layers of cheesecloth. Scrape the cashew mixture into the cheesecloth. Gather the edges and tie it up into a tight ball, securing it with kitchen twine. Leave the ball in the strainer, and place the strainer and bowl in the refrigerator. Chill 12 hours. Unwrap the cheese; discard any liquid in the bowl (there likely won't be much). The cheese will keep, covered, in the refrigerator for up to 5 days. Adapted from She Paused 4 Thought.